Diet Sodas are not a better option. UK pharmacist, Niraj Naik, exposed Diet sodas in a recent blog post. He says, “They make you crave more sugar and will not quench your thirst but instead leave you dehydrated.” The sugar substitutes used in the diet versions are often more harmful than sugar and could be linked to a variety of health problems. So it’s high time you ditched that soda can and switched to water. However, for some of us making the switch from sugary drinks to water is tough. Initially, some find the taste of water too bland. 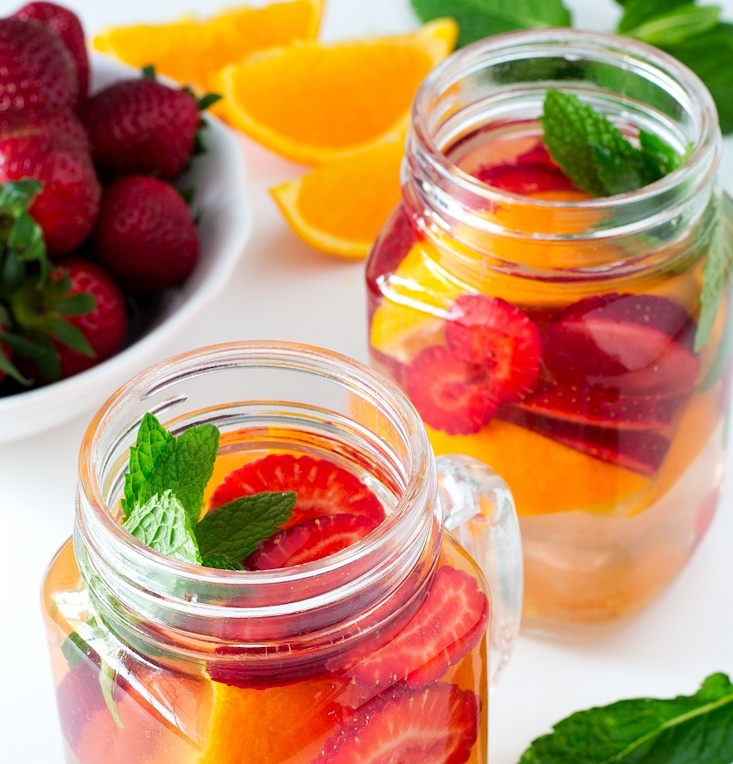 Fruit infused water is a great alternative to add flavor to your beverage without added sugar. Vitamins from fruit are an added bonus. Flavored water is a better option to juice, which again is high in sugar. You can easily make your own fruit infused water at home on a daily basis. This will also help use up that fruit sitting in your fruit bowl. It is also much better than buying the commercially available ones which might have added sugar. Here are 15 delicious recipes to help get you started. 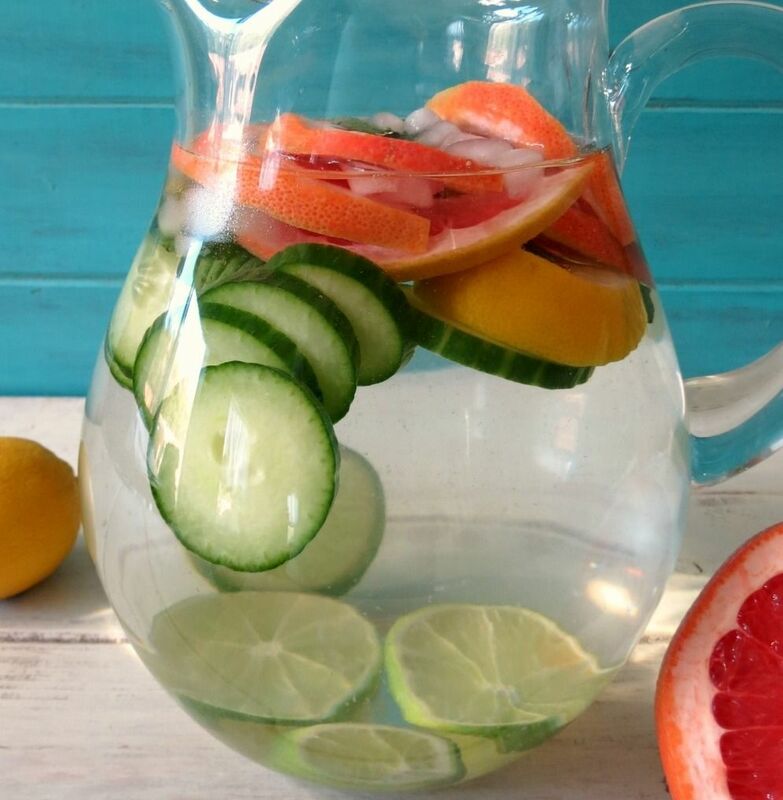 This fragrant and refreshing fruit water not only looks gorgeous, but also tastes wonderful too. It is a great recipe to start with since it is full of vitamin C, which helps boost your immunity. This citrus, mint, and cucumber water is a perfect detox beverage. Grapefruit is low in sugar and packed with nutrients. It is great for your skin. It also has many positive effects on your health and is even considered to help in losing weight. Peppermint suppresses hunger and soothes the digestive system. It is effective against indigestion and other related conditions such as irritable bowel syndrome. Cucumbers help reduce water retention.